Goals are planned miracles. Pursue them like nobody’s business. 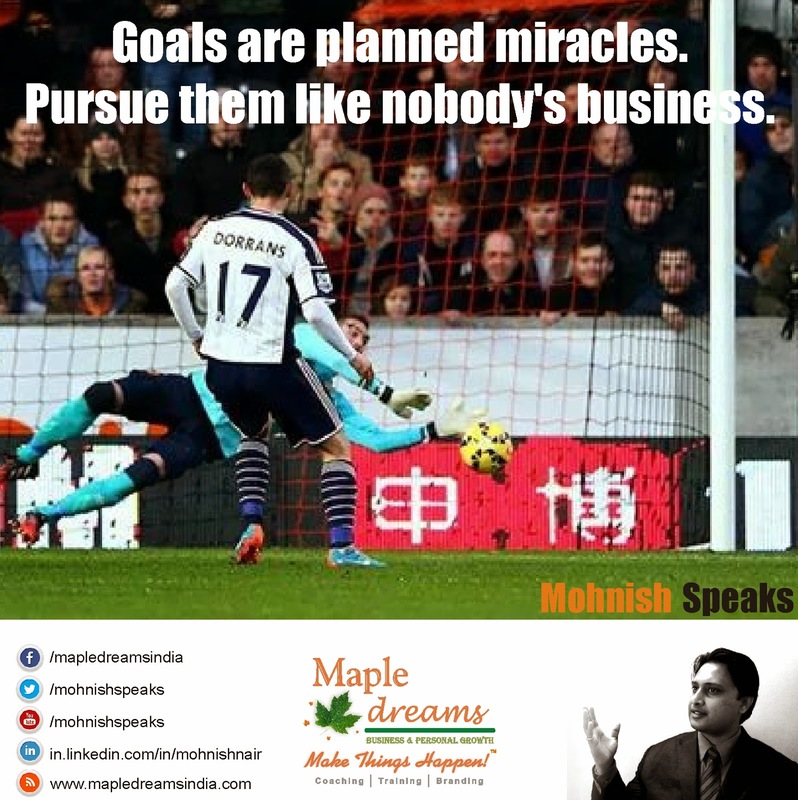 Goals are planned miracles.Pursue them like nobody’s business.